You head north out of Taos, past the roads for the pueblo and the Rio Grande Gorge. You hit Route 522 and you’re on it—the Enchanted Circle, a road that loops around the area’s major mountains, including New Mexico’s tallest, Wheeler Peak. If you’re lucky, like I was last weekend, you set out in late September, when the aspens are starting to turn, painting the mountainsides yellow amidst the evergreens. When you reach Questa, the circle curves east onto Route 38. To your right, more of the aspens shimmering in the still-emerging sunlight, with glimpses of the Red River along the way. And to the left—well, let’s just say a corporate presence has tainted that side of the circle. 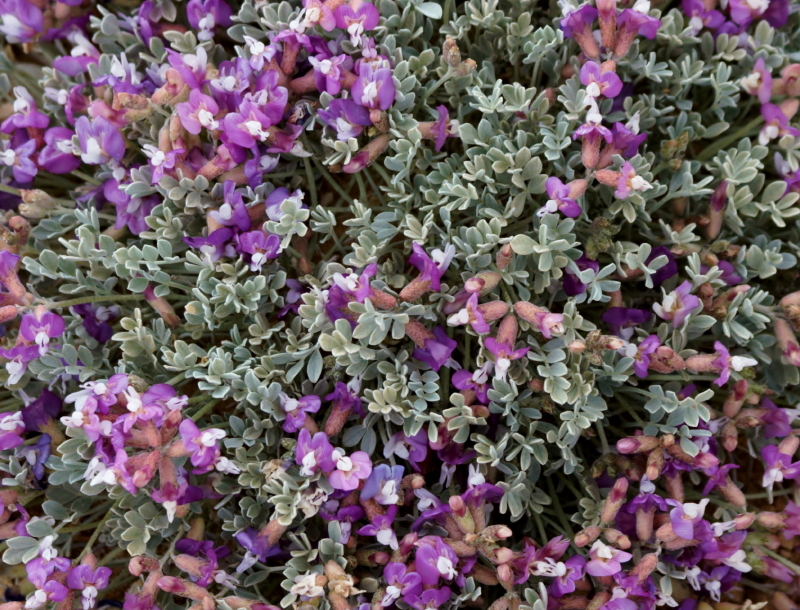 New Mexico, the Land of Enchantment with its Enchanted Circle, relies on its natural beauty to attract tourists, who contribute greatly to the economy. And while some local folks might consider some of the outsiders a necessary evil—spend your money and then get the hell back to Texas—they don’t leave behind the kind of environmental devastation Chevron has left in Questa. Along the Red River, on the other side of the street. 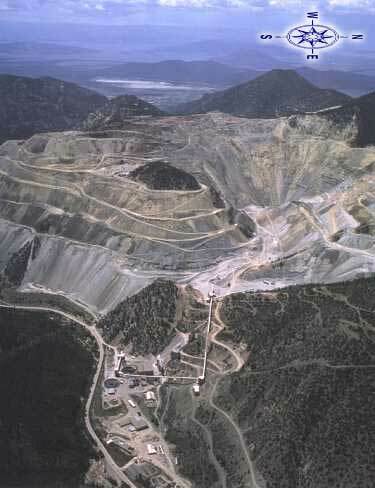 I first learned about Questa earlier this year, when I read that Chevron’s molybdenum mine there was closing, costing the community about 300 much-needed jobs. That’s the reality in a poor state like New Mexico: extraction industries provide some of the best employment opportunities, even as they befoul the earth. Where will those 300 people go for work? How will lives be affected—perhaps even destroyed? I don’t have the answers, and I feel for those people, even as I hope that closing the mine will help restore the beauty on that side of the road, like the kind you can see on the other. Chevron plans to tear down the mill. The first thing I noticed by the mining site was the color of the ground—yellow, in a chalky way, not like the almost golden-hued aspens. Then there was the sign announcing the site belonged to Chevron, followed by the empty mining mill close to the road. What I didn’t see were the tailing ponds on the other side of Questa, where over the years Chevron dumped more than 100 million tons of tailings, or water and waste from the mining process. The tailings traveled through a nine-mile-long pipe, with some leaking out along the way. As the EPA put it, breaks in the pipe “resulted in the spilling of into and along the flood plains of the Red River, threatening [a] fishery and nearby endangered species habitats.” Other pollution from the mine has contaminated surface and ground water in the area. The principal pollutants, the EPA said, include arsenic, lead, molybdenum, and zinc. The government put the Chevron site on the National Priorities List of Superfund Sites in 2011. The company began cleaning up waste the next year, and the work continues. This effort will “allow EPA to mitigate threats to public health and the environment from the release or potential release of hazardous substances, pollutants and contaminants.” But what about the damage already done? 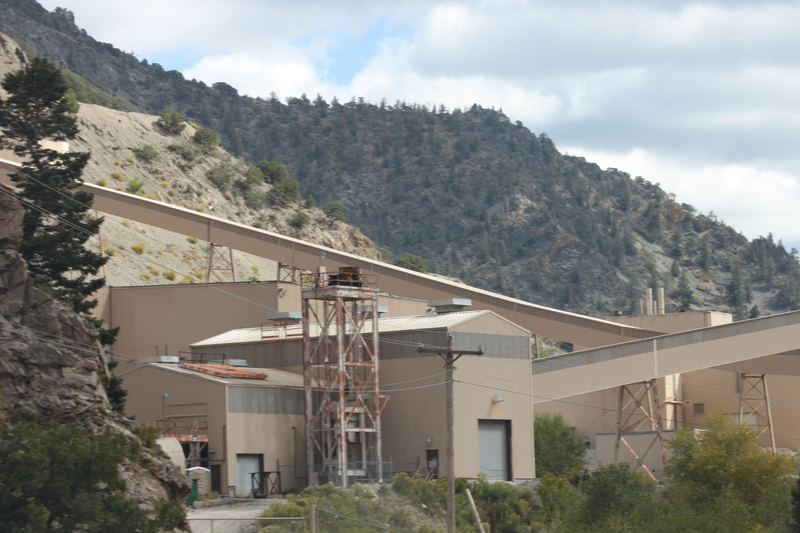 The mining in Questa started almost 100 years ago, and acid-generating waste rock has been sitting around the pit for several decades. Chevron admits it can’t control seepage from the tailing ponds, and the environmental group Amigos Bravos lists a number of problems the mining operation has caused over the years. 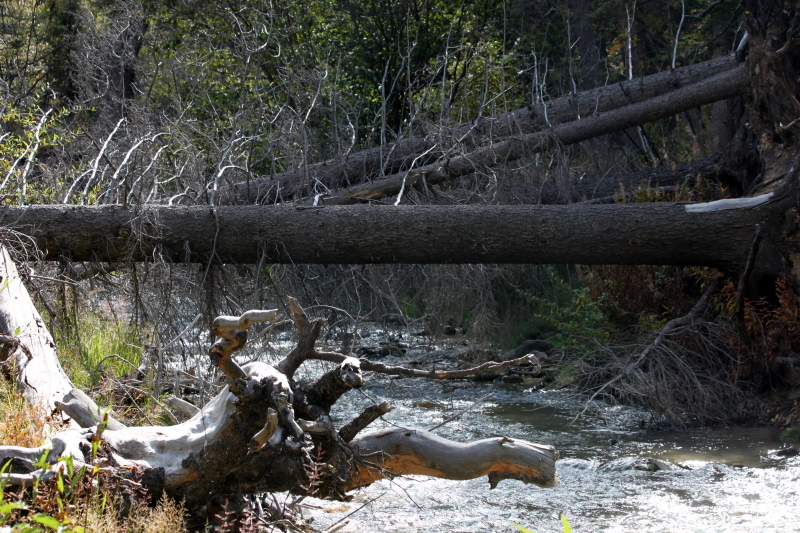 While Chevron cleans up the site, the scars on the earth and the poisons in the water remain. By one estimate, this effort could cost up to $1 billion. Meanwhile, many out-of-work miners are still looking for jobs, though union rep David Trujillo said Chevron seemed to be doing the best it could, under the circumstances, to help out. I knew only a little of this story as I passed the abandoned mine on my way around the Enchanted Circle. But I had a feeling that the mine was not a source of environmental good, even as it provided jobs and the company made contributions to local charities. Now, Chevron will move on. The pollution, at least for a time, will remain. 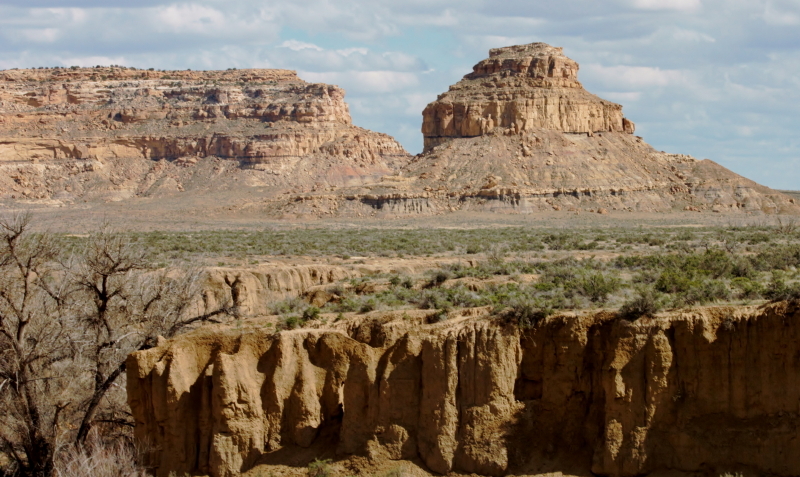 And New Mexicans will continue to debate how to balance the economic good the extraction industries provide while trying to mitigate their environmental impact. At least I hope they will. Unfortunately, the prospect of four more years of a pro-business, anti-environment governor who feeds at the trough of the Koch brothers might color the debate. 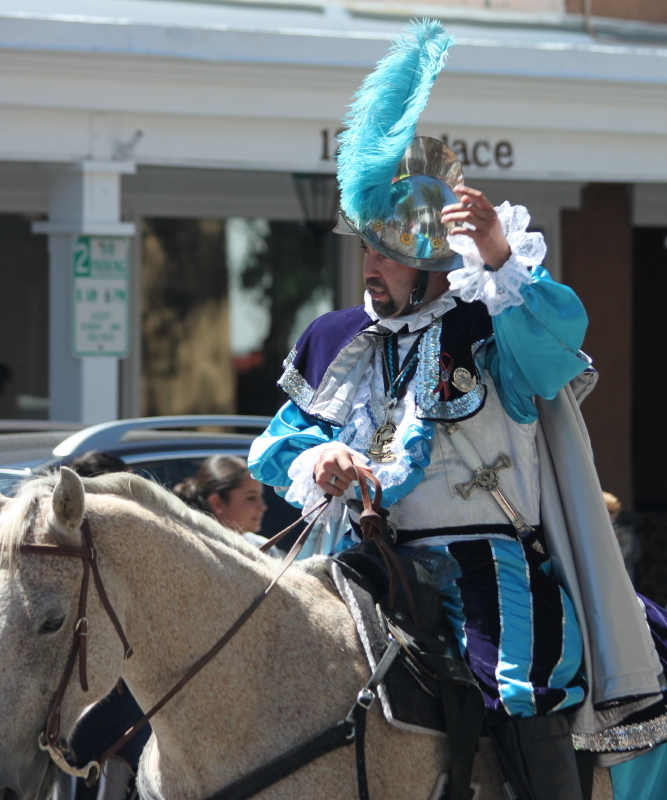 Astride his horse, Don Diego de Vargas solemnly rides down the street toward the Plaza, with a train of conquistadors behind him, just as he did more than 300 years ago at the first Fiesta de Santa Fe. The good don was eight years departed from this earth when the first fiesta was held. And the modern-day de Vargas I was watching will put aside his costume and horse at the day’s end. But the real de Vargas was the inspiration for the procession that paraded by me. He had promised to honor the Virgin Mary as represented by a wooden statue called La Conquistadora, which had been brought to Santa Fe in 1625. 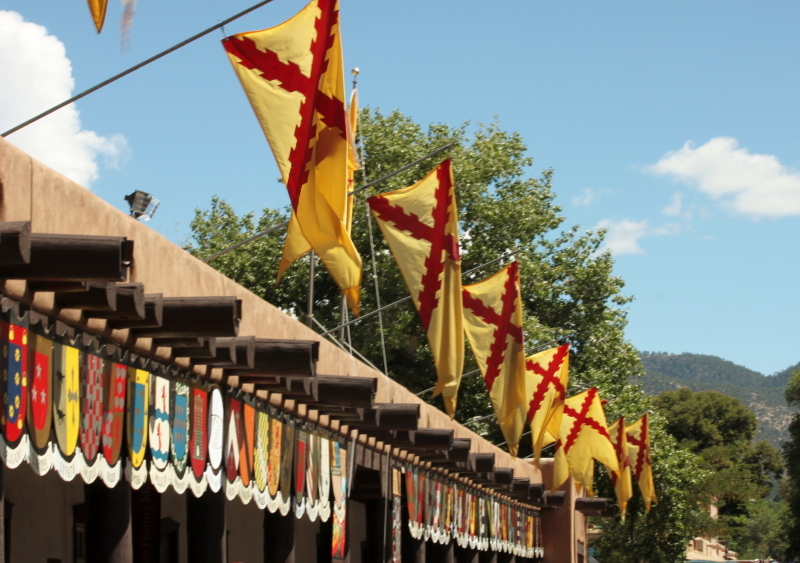 It was her blessing, de Vargas thought, that enabled him to take back Santa Fe in 1692-94, after the Pueblo Revolt of 1680 had driven the Spanish from northern New Mexico (you can read more about the revolt and the reconquest in previous posts). While de Vargas was not able to carry out his pledge to build a new throne for the statue, one of his captains suggested the idea of a fiesta to mark the restoration of Spanish rule and the beneficence of La Conquistadora. As a historian by trade if not by academic degrees, I’m always appreciative of living in a state, and particularly this part of it, that is steeped in history, and which the people with deep familial roots consistently celebrate. 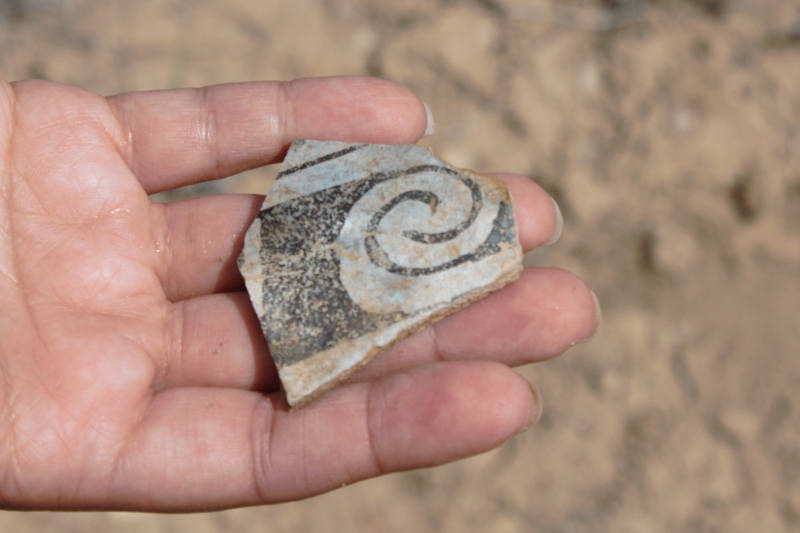 And some Santa Feans and Pueblo Indians who surround the city have roots that few Americans today can match. It’s not uncommon to hear the former talk about being the 14th, 17th, 20th generation of their family in the area, and of course the Pueblos go back even further. 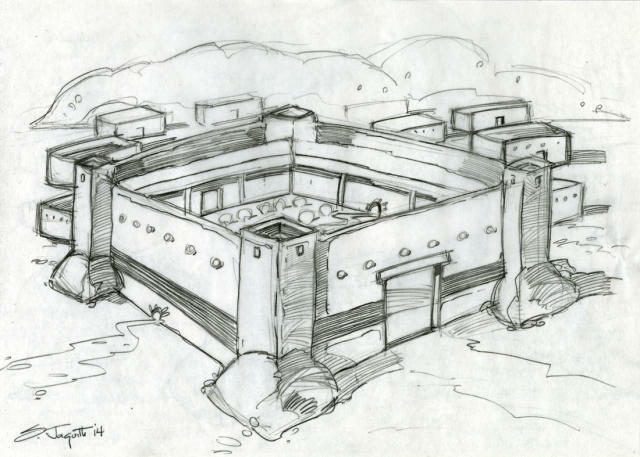 One conjecture about how a two-story Palace looked. To mark Fiesta week, the sponsoring council holds an annual history lecture. I attended this year’s and the hall was packed. Dedie Thomas Snow, an archaeologist who has participated in digs at Santa Fe’s Palace of the Governors (built in 1609), spoke about the palace’s history from 1660-1720, when it often was, as her talk’s title spelled out, “A Palace in Need of Repair.” The one-story building that dominates the plaza today went through structural changes during those years, including gaining additional stories during the years the Pueblos controlled it. 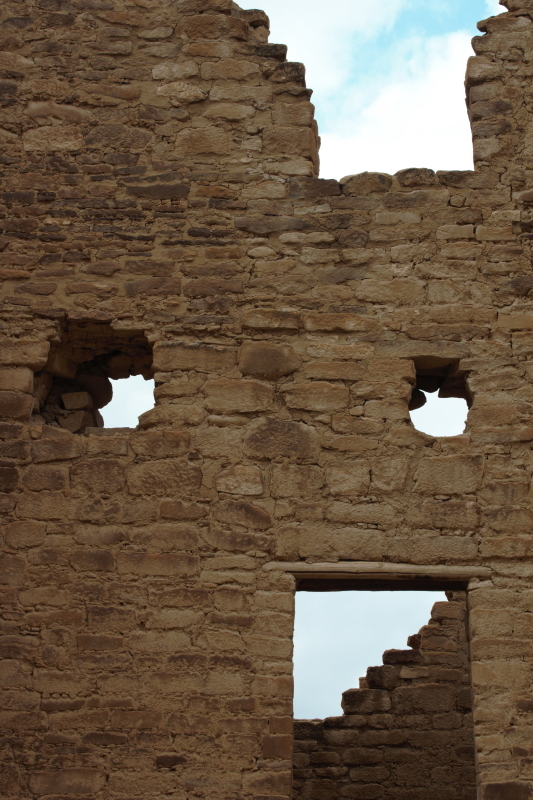 Along with the history of the building, Snow talked a bit about the early social history of Santa Fe and the region. 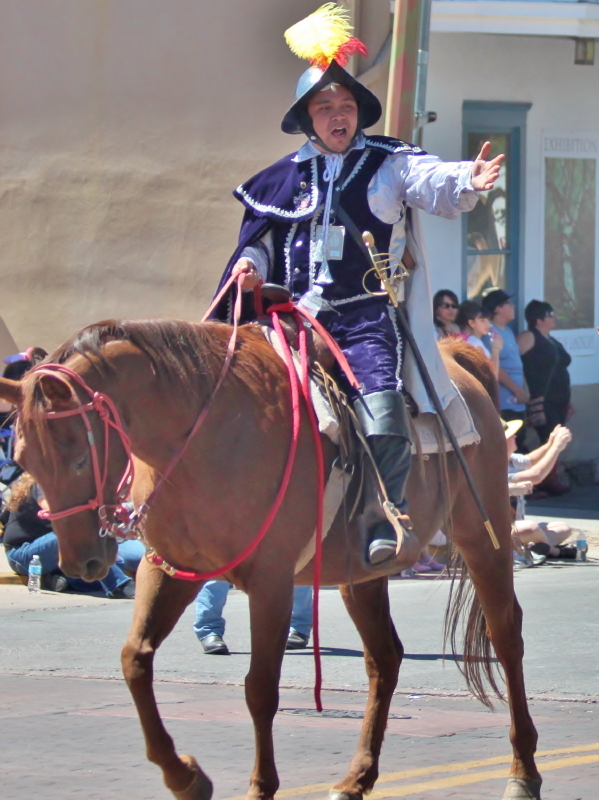 Original settlers who received land grants took part in the encomienda system—they also received Indian labor or tribute in return for military service in the colony, defending mission pueblos. The Spanish colonists established estates near the missions, and many of the villages that eventually grew up around them still exist today. The founding landowners, by law, also spent time in Santa Fe, and the leading citizens lived on small farms near the Plaza, north of the Santa Fe River. On some of the farms, the colonists raised peaches, which Spanish missionaries had earlier brought to North America. South of the river, the Barrio de Analco sprung up to house working-class settlers and Indian laborers. 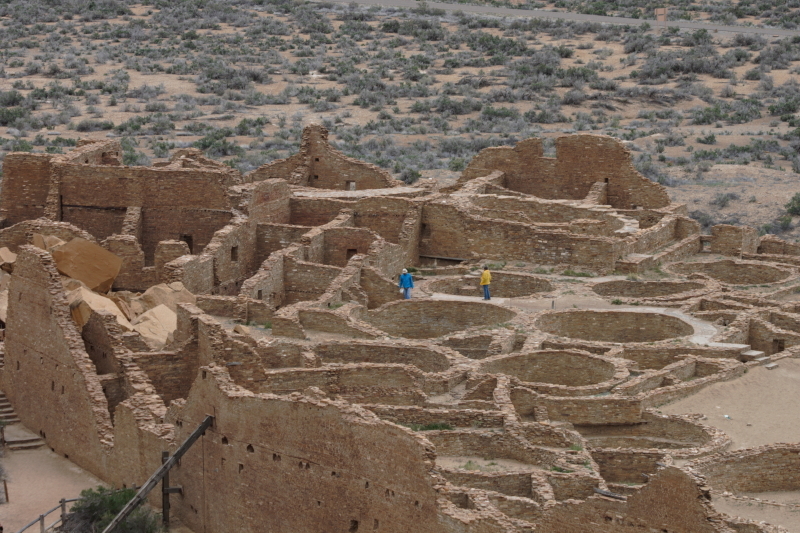 Much of the Barrio de Analco was destroyed during the Pueblo revolt, though a church built on the foundation of one of the oldest churches in the United States, dating back to the barrio’s founding in 1620, still stands. The barrio is also the site of Santa Fe’s oldest existing house, which dates from the mid-18th century. The talk was a little slow in places, but I always enjoy learning a little bit more about my adopted home. And I know there will be another talk next year, just as there will be another Fiesta celebration. Tradition and history cling to the City Different, but in a way not stifling, but invigorating. Que viva La Fiesta!